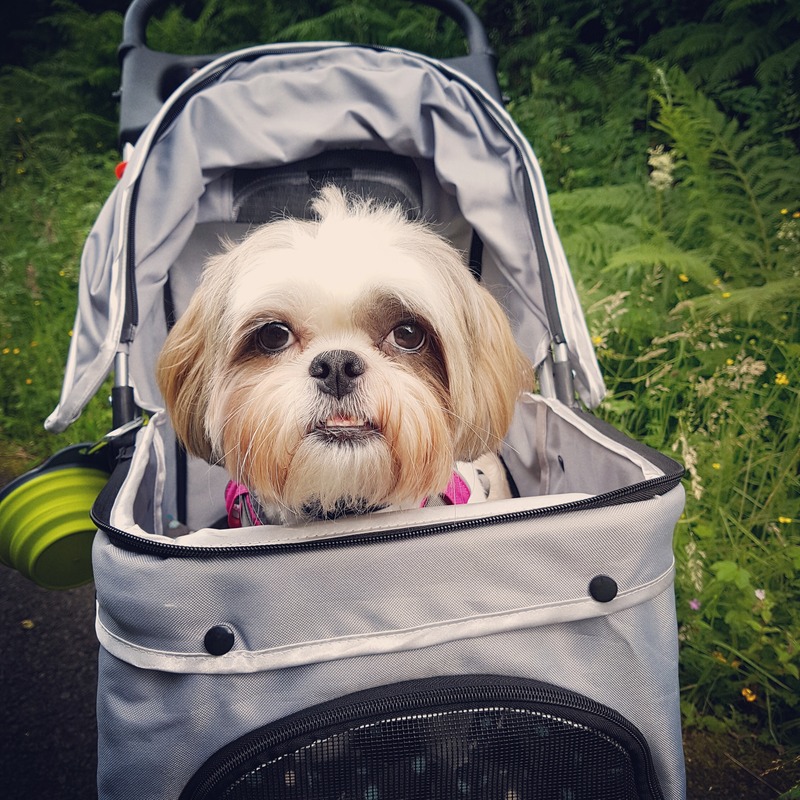 Ater Roxys diagnosis of Lumbosacral Disease we decided to get a pet stroller so that she can still enjoy our long walks. 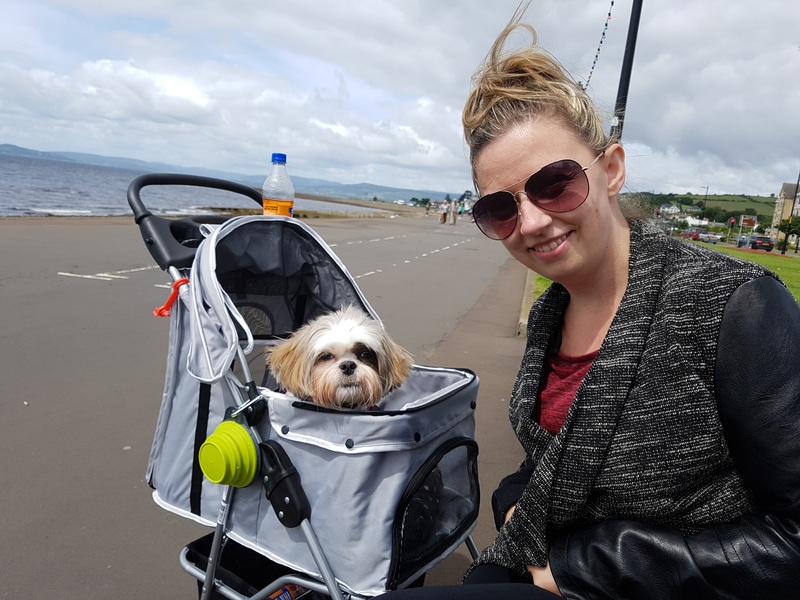 We love going to Troon beach, Largs and Castle Semple but it is too long a walk for Roxy so we take the pet stroller. She walks for about 15 minutes and goes in the stroller for the rest of the walk and I maybe let her back out for the last 10 minutes. This was the best thing I have ever bought, mostly for her condition but how often do you go out a way and you don’t have enough pockets to store poop bags, treats, water bowl and water it is just too much. With the stroller we bought it came with a compartment below were we can store things. It also has two cup holders which I use to hold there water and a drink for myself. I attach their water bowl on the side and I can take it off when needed. I love it. I think it was only £60. I have seen ones that are a ridiculous amount of money and they look great but this one suits me fine and it does the job. 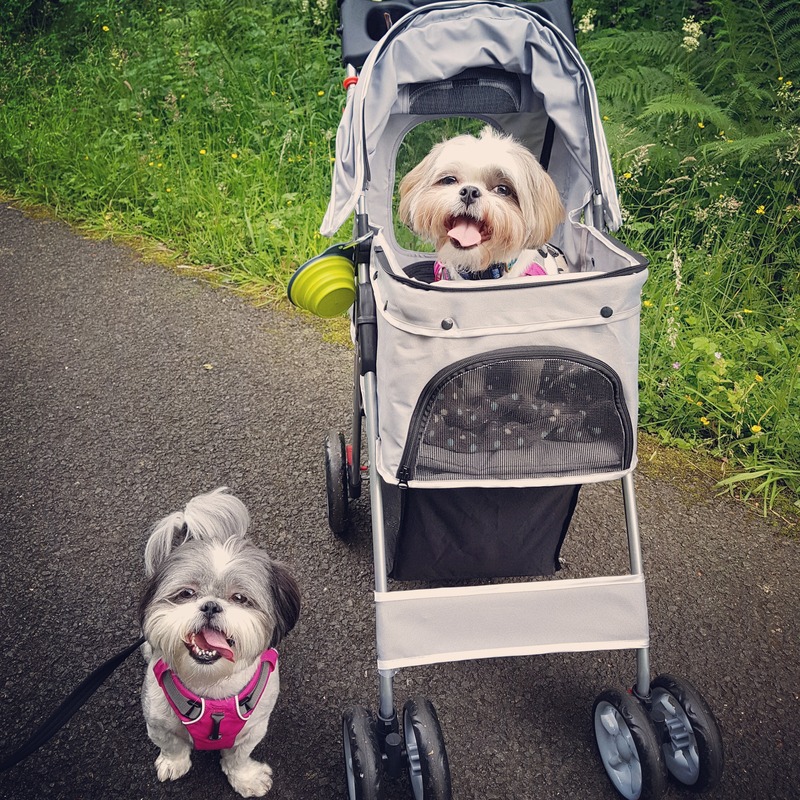 Pixie likes to have the odd shot in it too when Roxy is having a walk. Roxy loves it now, it took her a while to get used to being in it, but now she has the breeze blowing between her ears she is now known as Queen Roxanne. 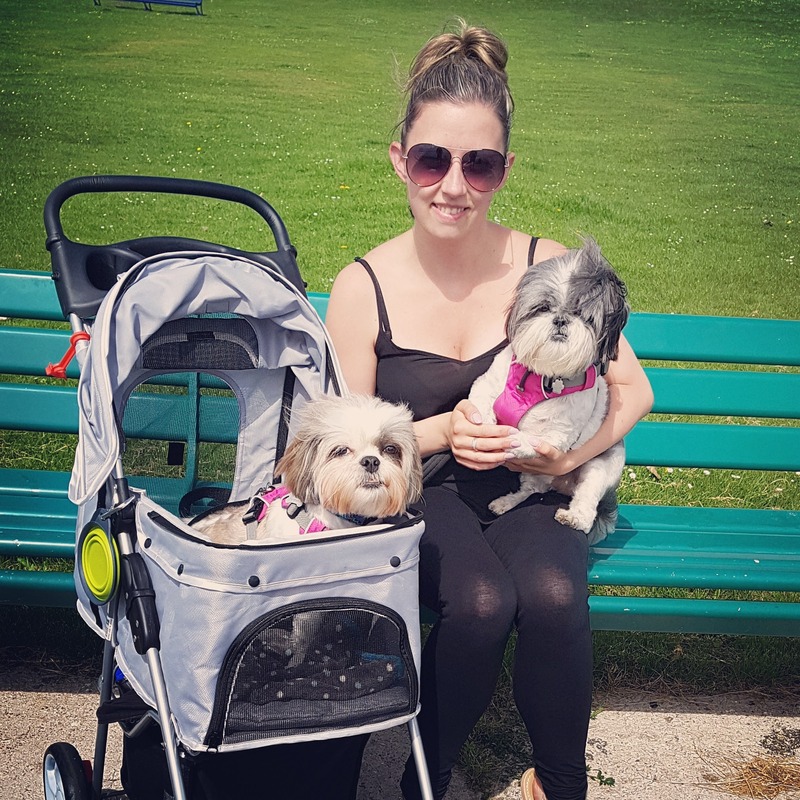 We are not letting her condition ruin our fun outside and with using the stroller we can still have fun and enjoy the walks we used to. Check out our vlog on when we used the stroller for the first time.